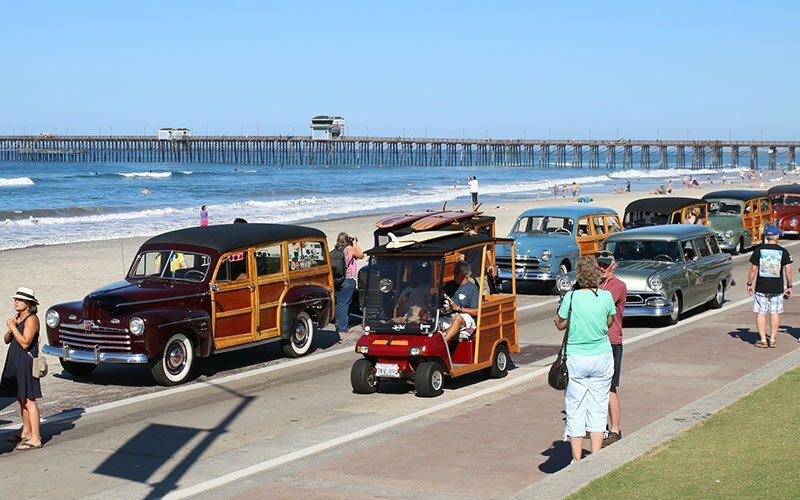 Otis should have been singing “Under the Boardwalk” in the background as a huge contingent of woodie wagons from the Wavecrest Woodie Show 2015 made the trip from Encinitas to the harbor at Oceanside this morning. There was a photo session near the pier (boardwalk). 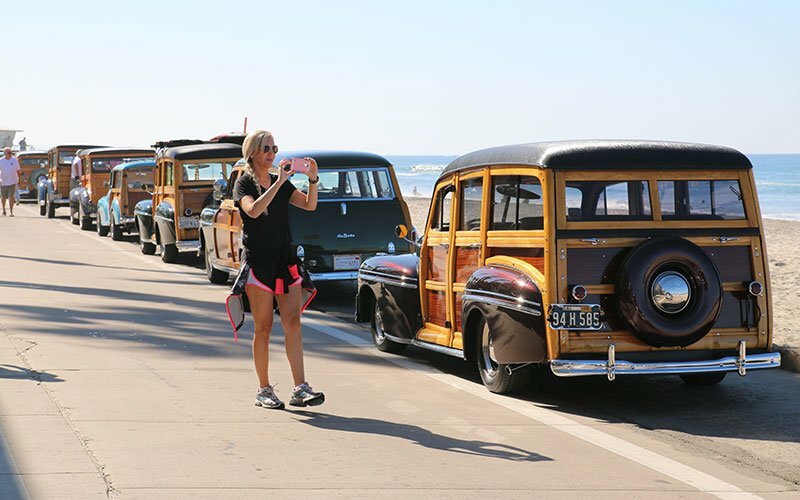 The final cruise of the weekend was the scenic run from the Civic Center in Enci nitas down the Historic Hwy 101 along the Pacific Coast through Carlsbad and then to the pier in Oceanside. 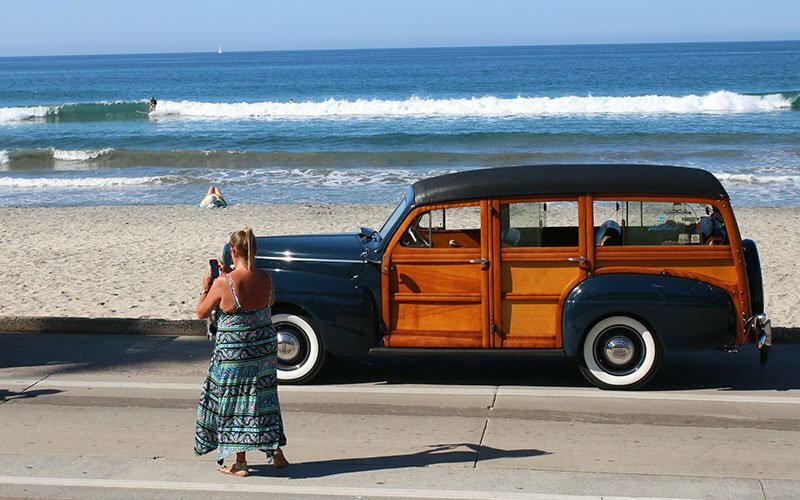 It was a sight … more an inspirational ritual, as the woodies returned to the beach where the surf and surfing were its origins. 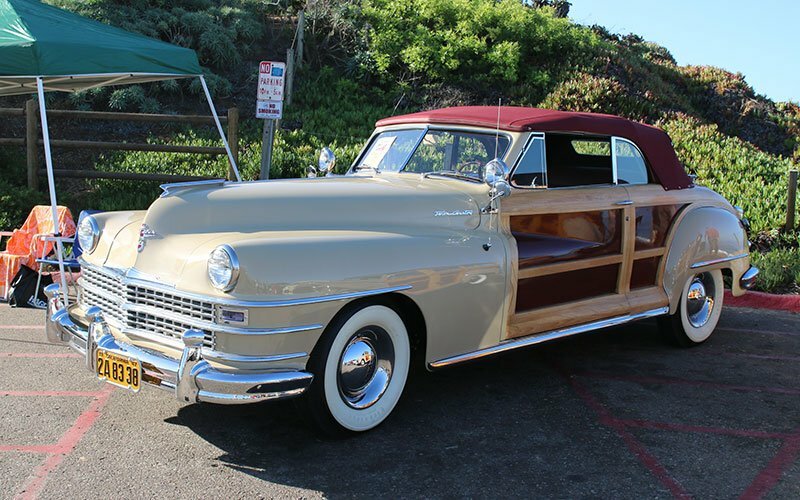 What could be a more fitting finale for an incredible weekend here at the Wavecrest Woodie Show 2015. 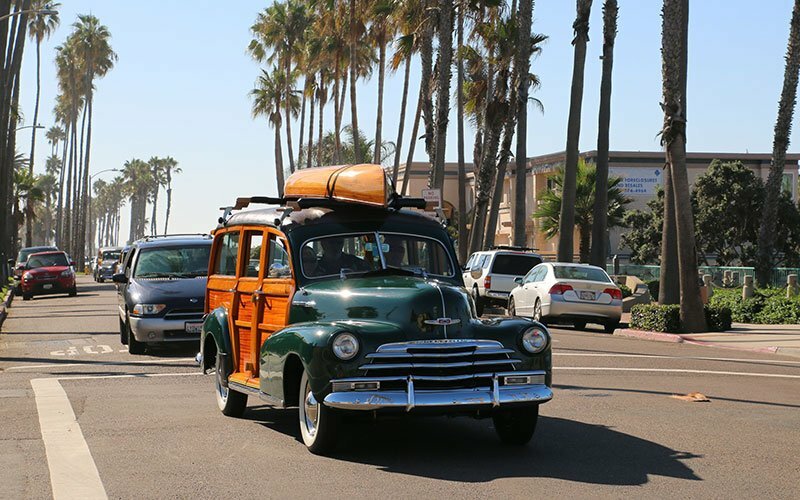 The Sunday morning memorial cruise down the historic Hwy 101 from Encinitas to Oceanside is the last event of the Wavecrest Woodie Show 2015. 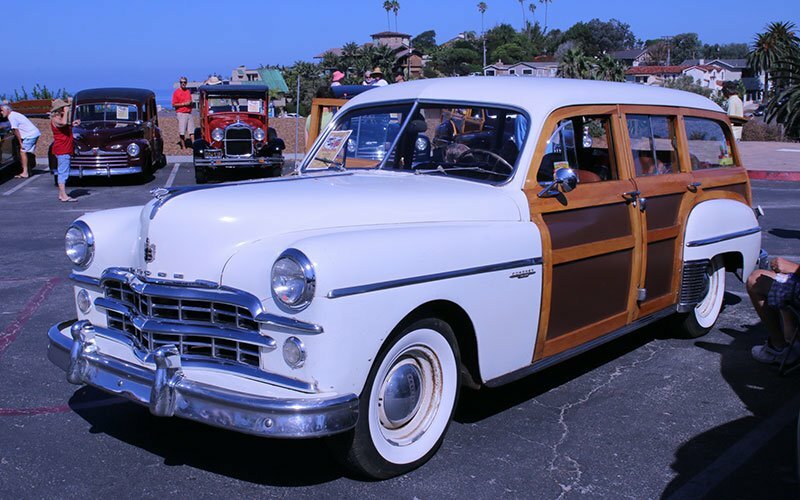 It is one of the cherished events of this Woodie Reunion as all woodie owners are invited to join the ritual cruise. They congregate at the Pier in Oceanside where surfers were catching waves in the background. 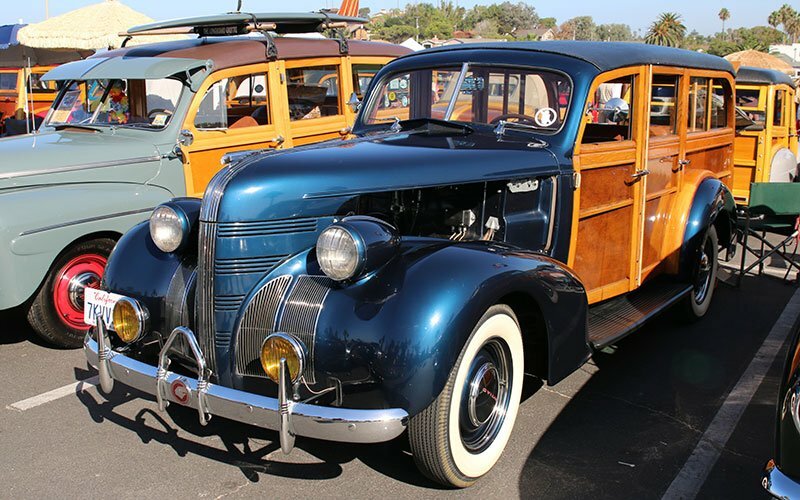 Many of the owners and their woodies began their trek home after this event. Until next year then. 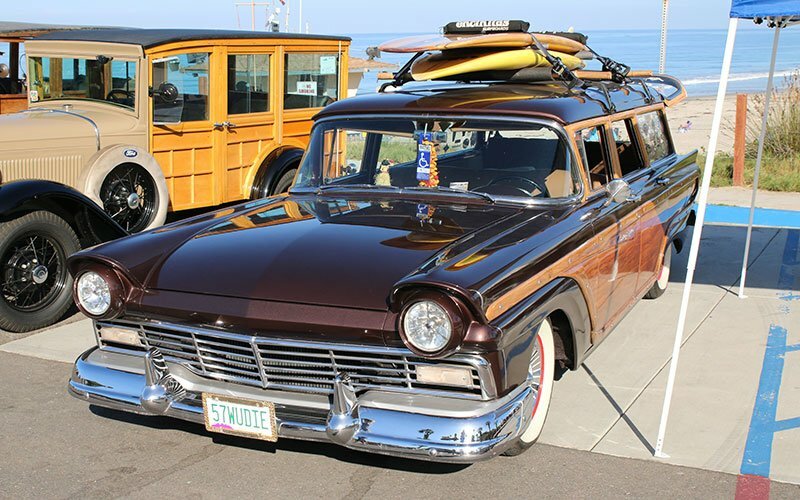 It is just simply jaw dropping to see nearly 300 woodie wagons all at one show. 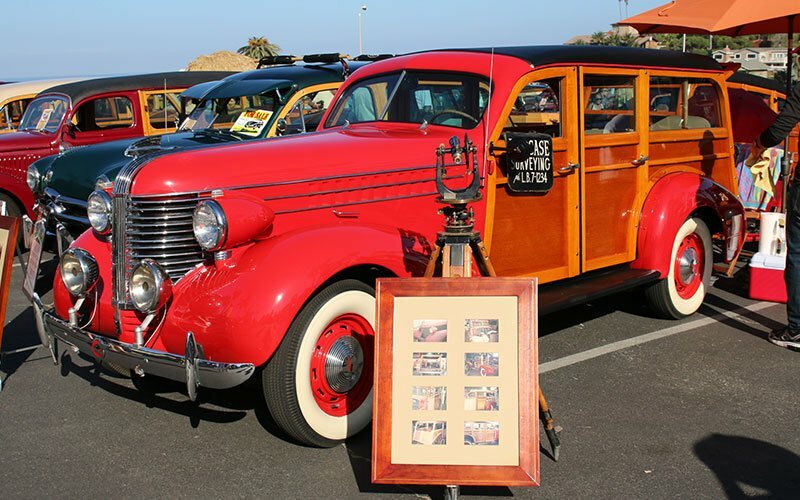 Spectators were amazed to see so many different makes and models of wood-structured vehicles at the 36th Annual Wavecrest Woodie Show 2015 on Saturday. 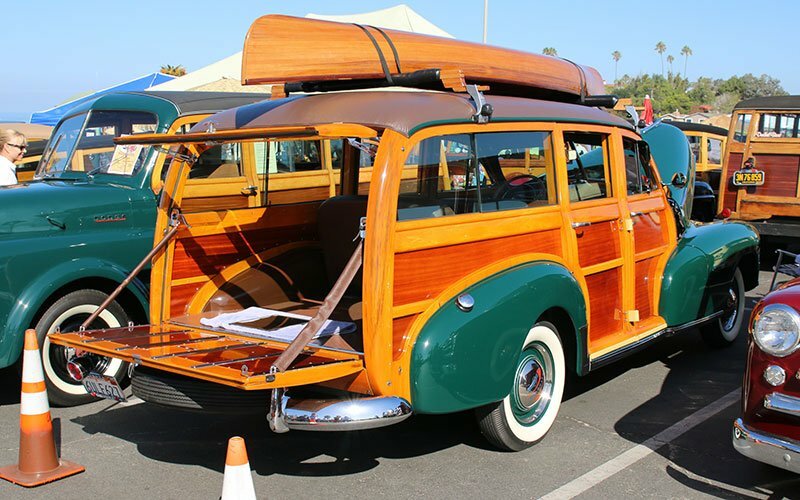 The National Woodie Club tells us that there are close to 300 woodie wagons assembled here in the show area at Moonlight Beach in Encinitas. 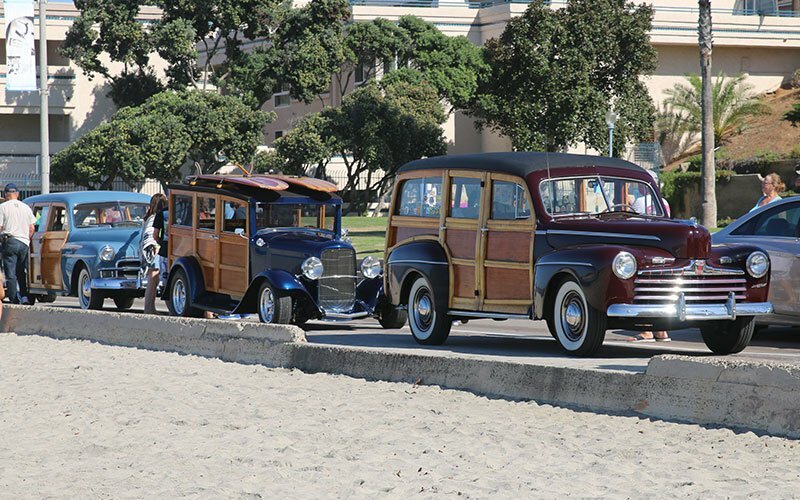 With surfers in the background, the breeze off the ocean kept us cool in the morning as the afternoon sun bounced its rays off the beautiful wood bodied wagons. 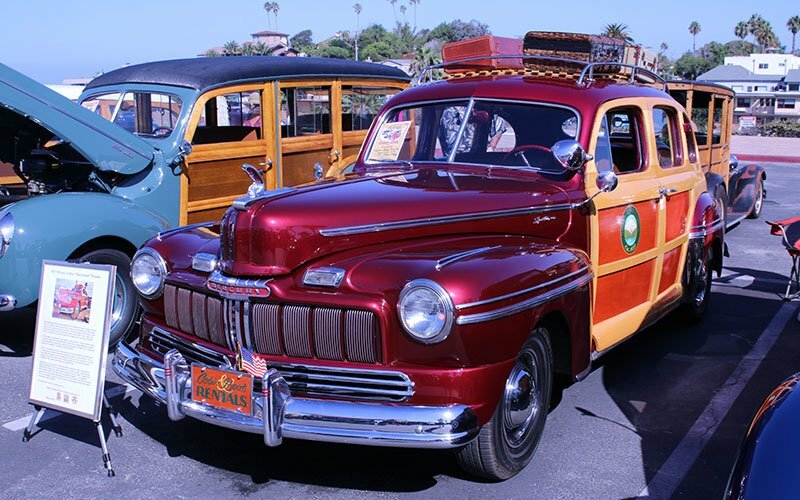 You are here with Cars On Line.com for the world’s largest All-Woodie Homecoming. 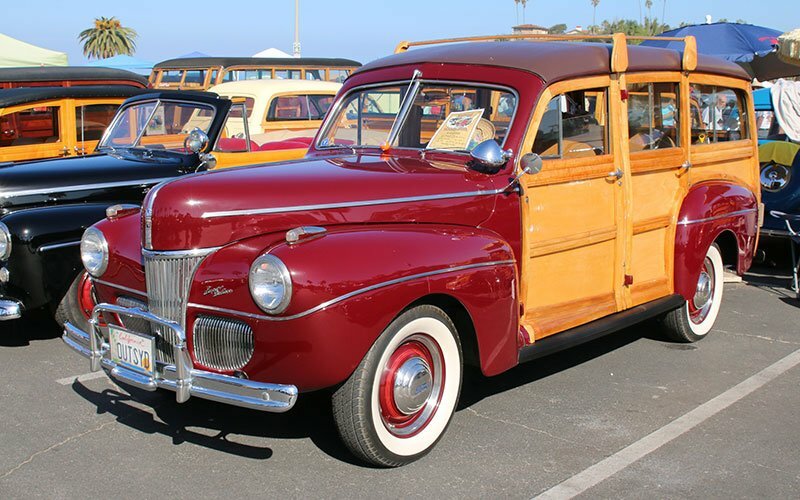 And everyone is in agreement that this years show has drawn a very discrete selection of woodies, maybe the best ever for the world’s largest woodie show. 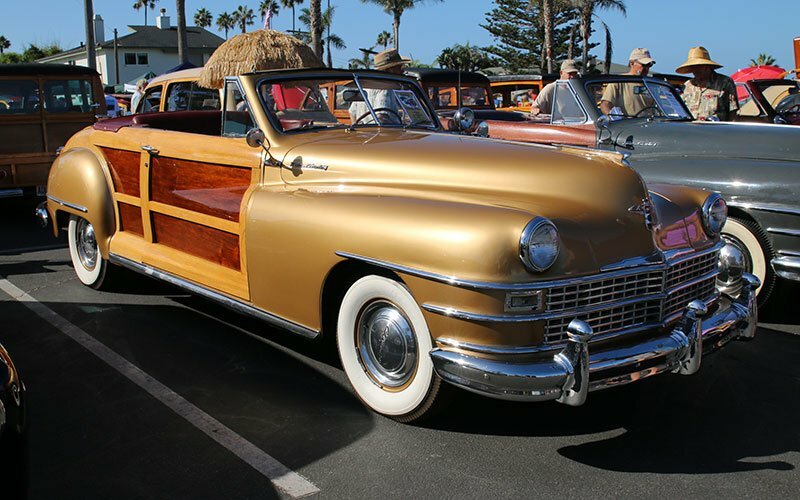 Cars On Line.com is on hand to bring you photos and videos of the Wavecrest Woodie Show 2015. 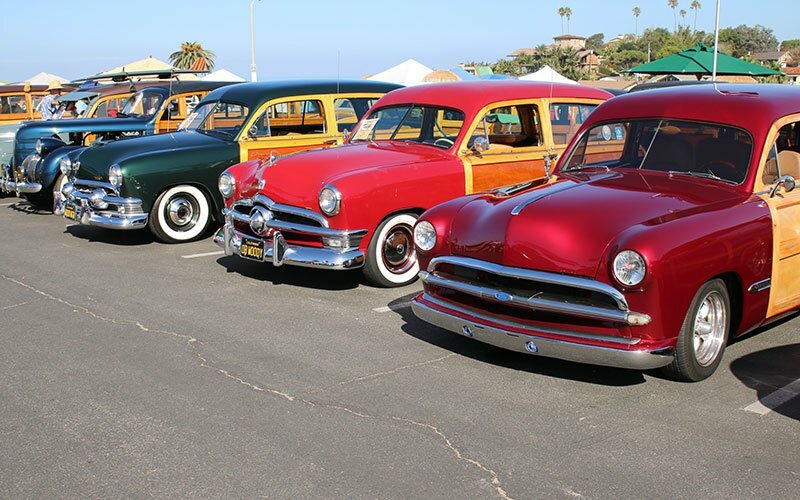 This event is sponsored by the San Diego Woodies Club. 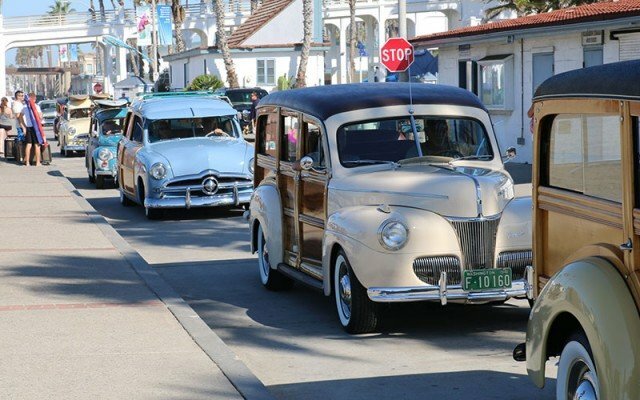 They told us that their would be woodie owners bringing their cars from all over the U.S. We met woodie enthusiasts from New York, Florida and even Australia here this morning. We did a couple of interesting Periscope videos for our Twitter fans. 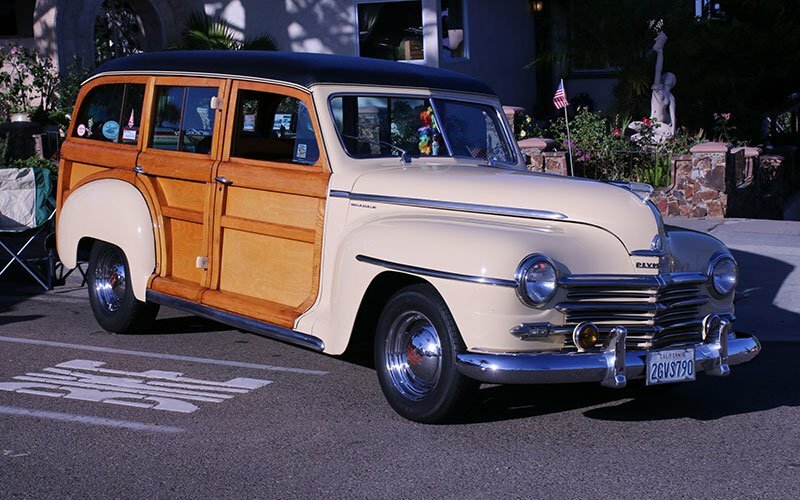 Be sure to view the interview with the owner of the 1942 Marmon-Herrington Ford Deluxe 4X4 Woodie Wagon. It has a colorful history in addition to being very rare. He said it was the only one produced in 1942. 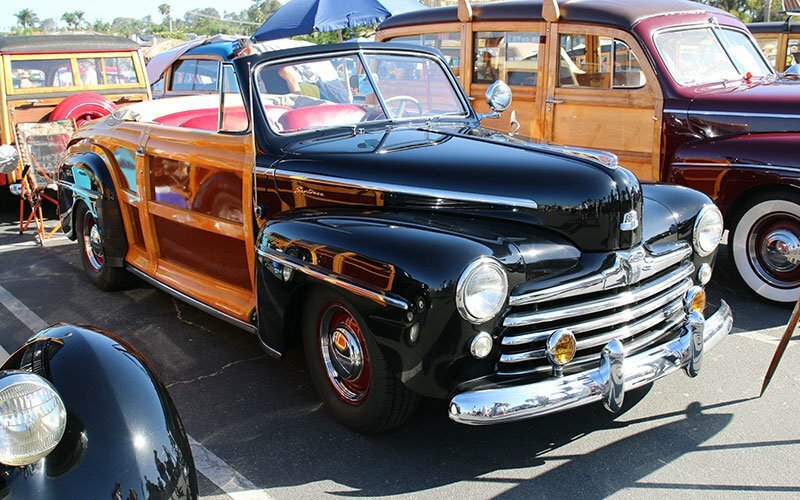 In addition to this incredible 1942 Ford Deluxe Marmon-Herrington Woodie 4X4 (shown above) we also saw the 1947 Mercury Marmon-Herrington Woodie 4X4 we featured last year at this show. 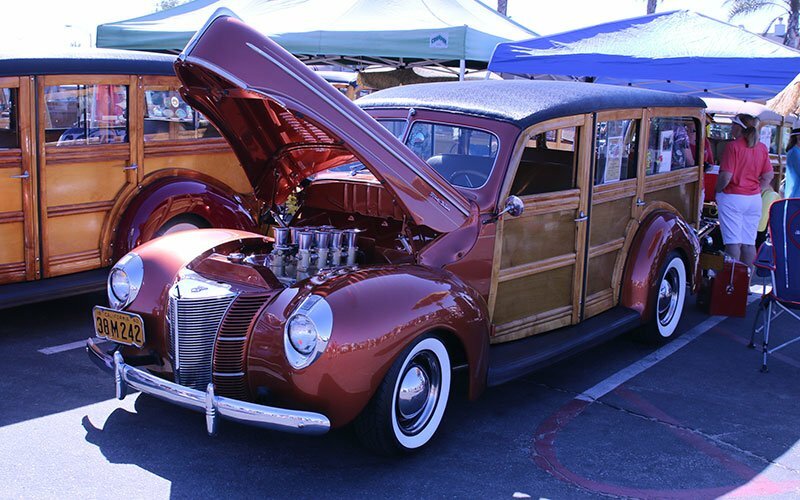 Click here to view a full story on the “rarest” woodie wagons we saw here at the Wavecrest Woodie Show 2015. Bookmark this page to view more cars and information this evening for our next posting. 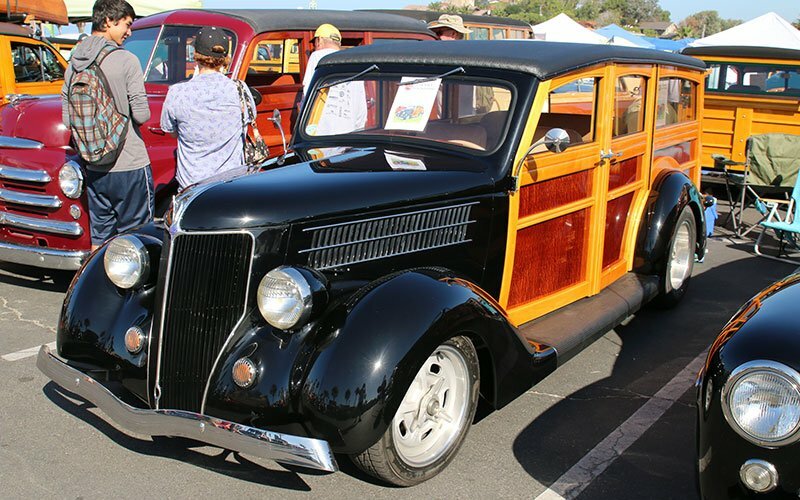 We should have some photos of the rarest woodies at the show plus some video. 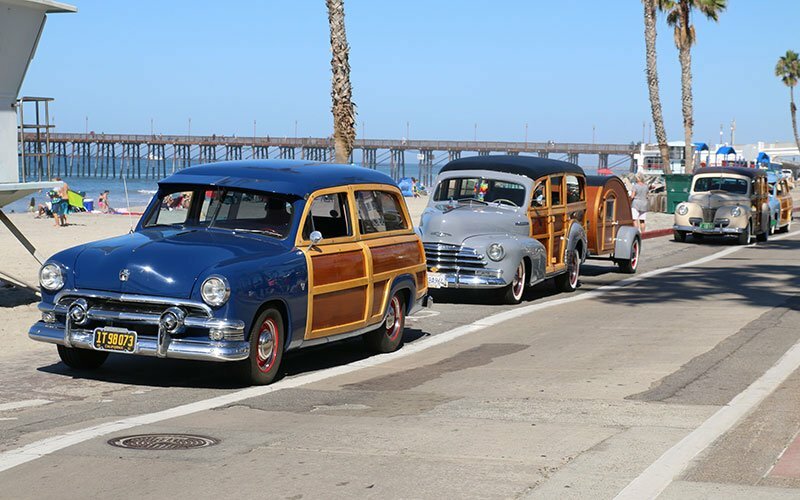 Thursday was the prelude to the big Woodie Homecoming show sponsored by the San Diego Woodies here in downtown Encinitas as the woodie crowd mixed with local car collectors for a huge display on Main Street. There is a lot of history behind this show. 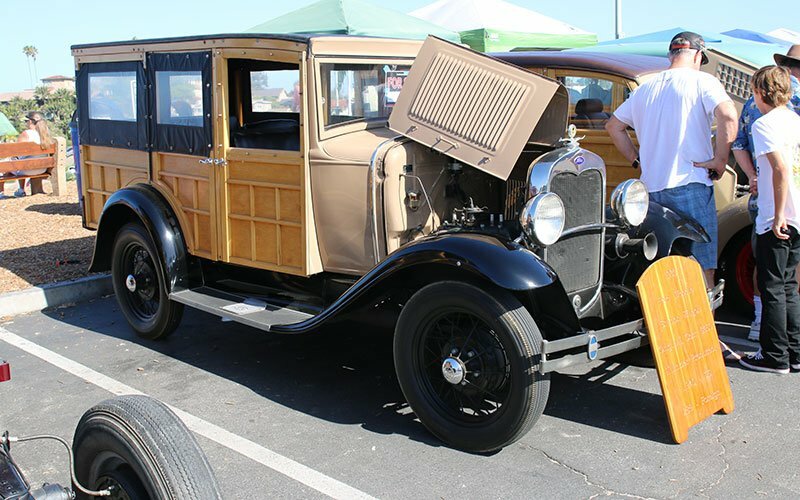 It is billed as the largest purely wood-bodied car show in the world. 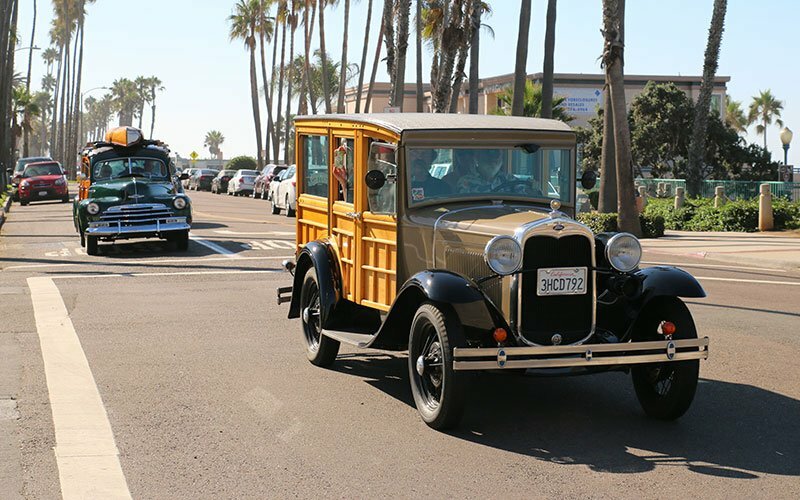 Stay tuned to this page to get your “Woodie fix” and see through our camera’s eye the historic Woodie Homecoming here in Encinitas. It’s always fun to catch the expressions on the faces of people who are here at the Wavecrest Woodie Show for the first time. They just can’t believe it when they see it. 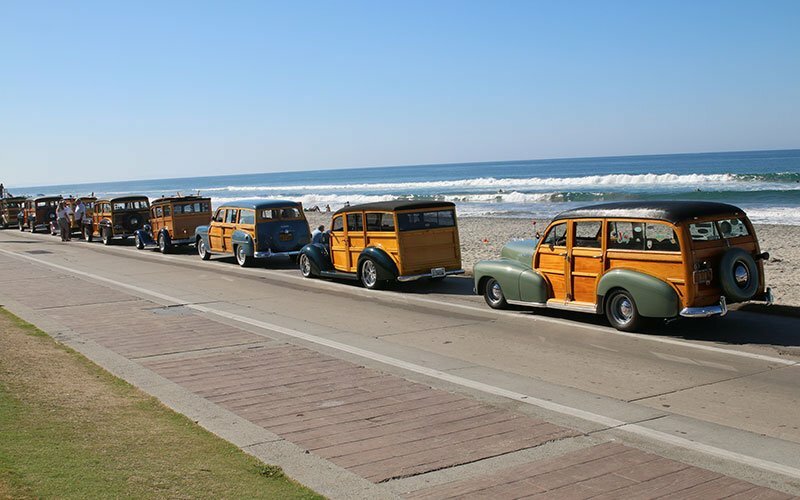 This is the most amazing display of wooden structured cars you will ever witness. 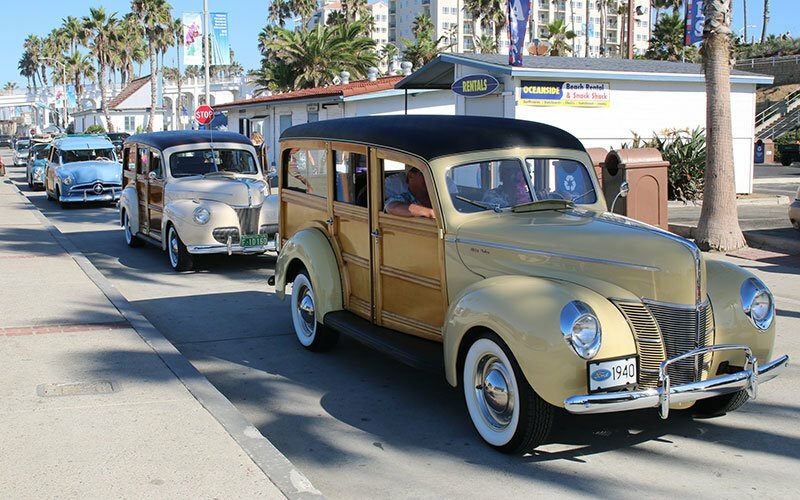 According to one of the founders, the Wavecrest Woodie Show started out as a surfing contest on the beach in back of the Wavecrest Hotel on Moonlight Beach. A few woodie wagons began showing up and it turned into a surfing and woodie show, sort of a California cultural phenomenon. 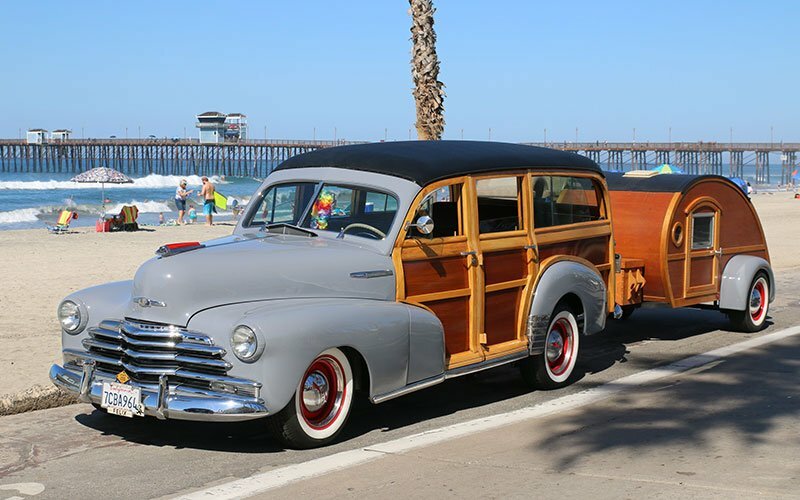 A few years later the Wavecrest Hotel burned down and for a short time the woodie show was held at Oceanside just north of Encinitas. 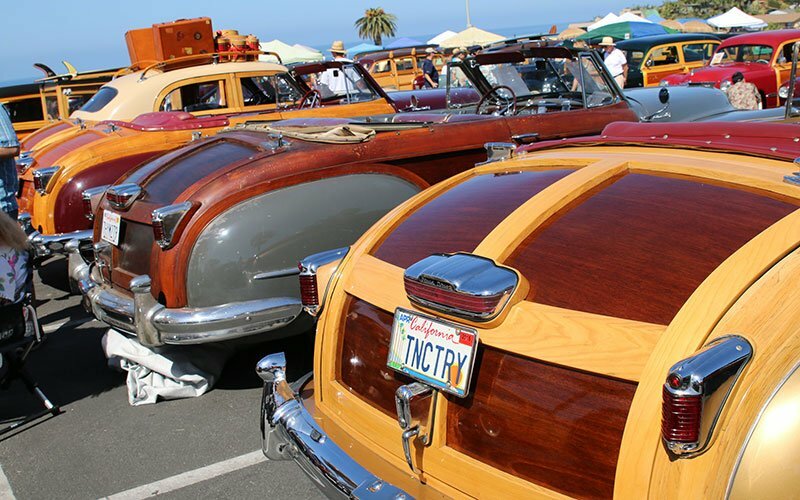 Now the Wavecrest Woodie Show is back in Encinitas where it has become the largest event in the world for wood-bodied classics, in essence a woodie reunion. 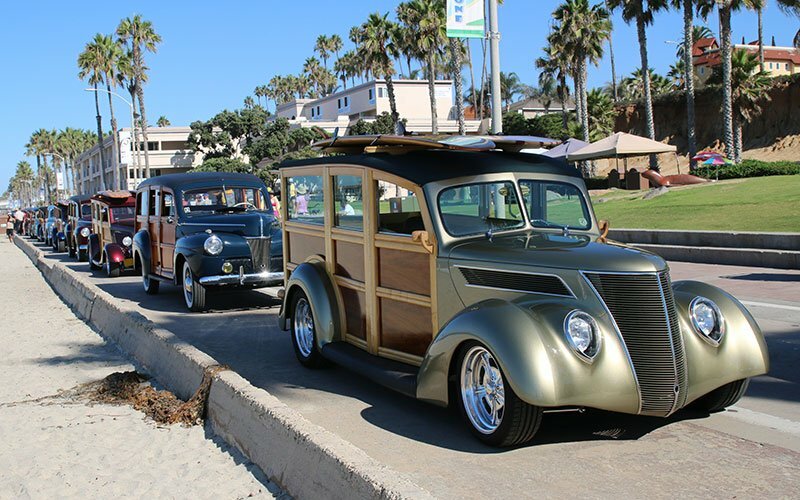 We call it the Woodie Homecoming because wood bodied cars and surfing at Moonlight Beach have become synonymous. 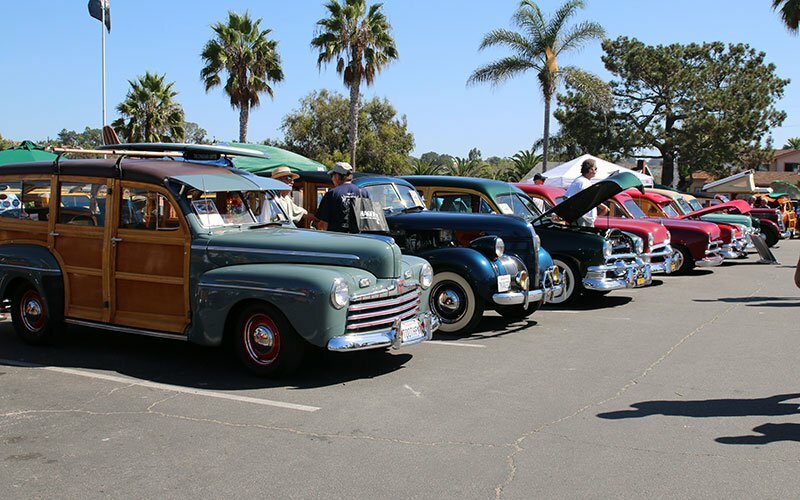 The event is sponsored by the San Diego Woodie Club. 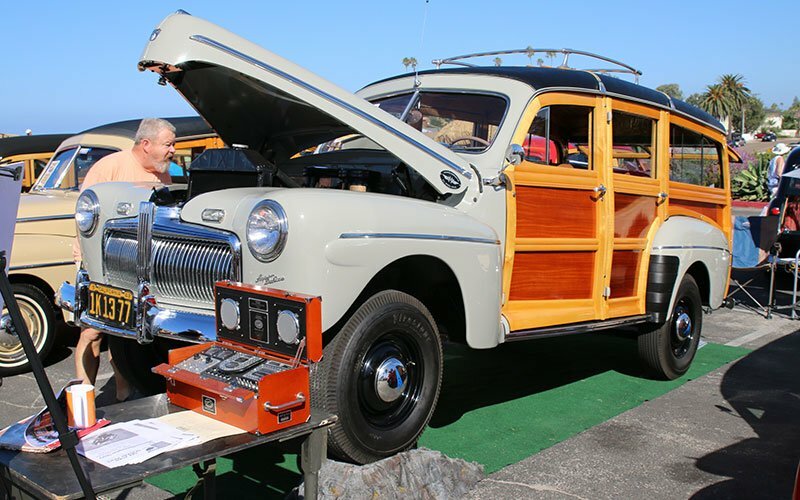 The Wavecrest Woodie Show is billed as the largest all-woodie event in the world. It is held at Moonlight Beach in Encinitas just off historic California Hwy 101. 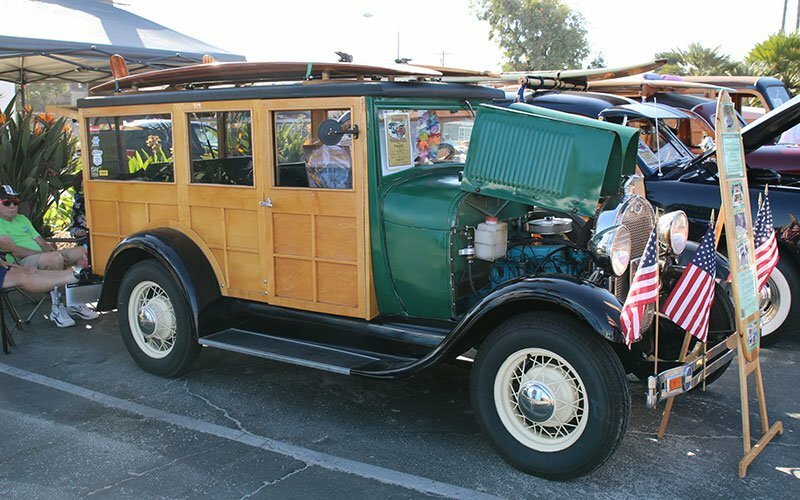 It is about classic woodies, surfing and the comraderie of the woodie brotherhood. 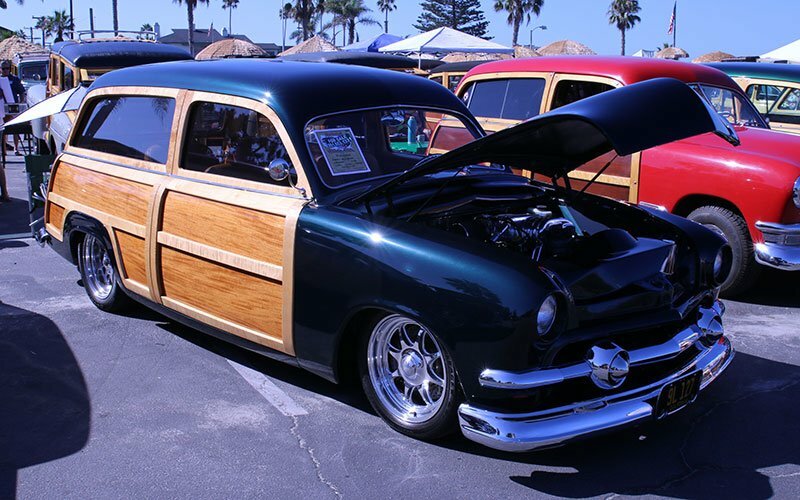 Woodie restorers are a special breed of car guys. 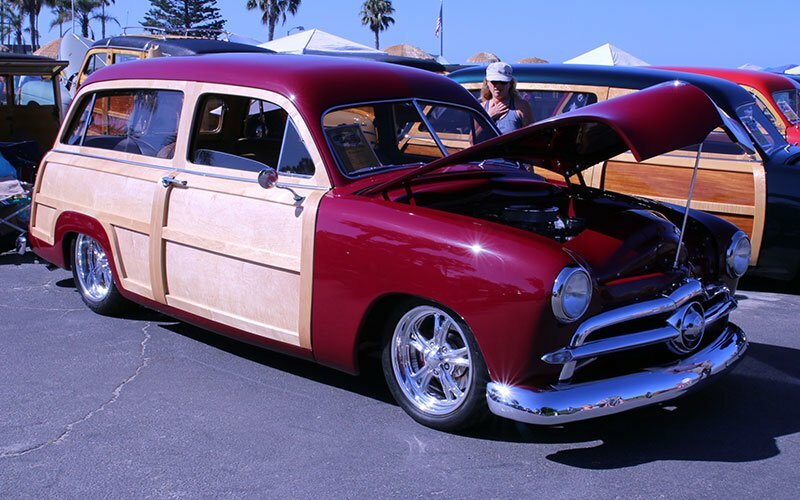 Not only do they have to be well schooled in auto mechanics, but also have experience in wood finishing. Lots of stories and restoration tips will be swapped here this year. 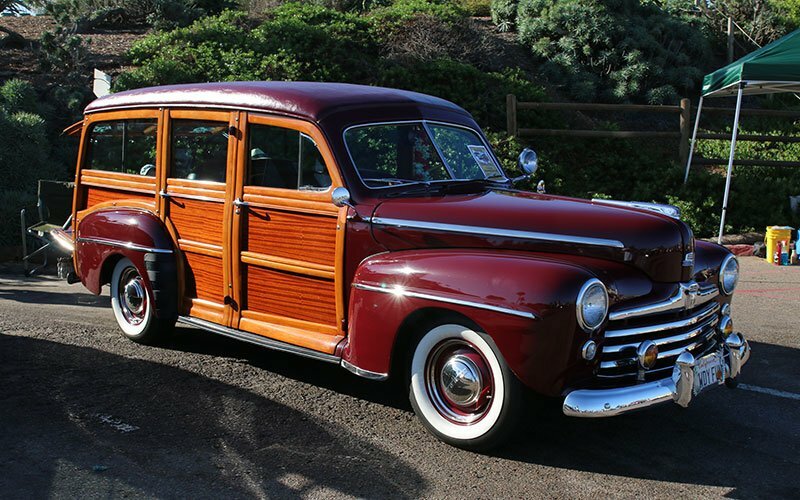 Check our Facebook and Twitter posts as we catch up with woodie wagons and their owners. You’ll get a first-hand look at this historic event right here. 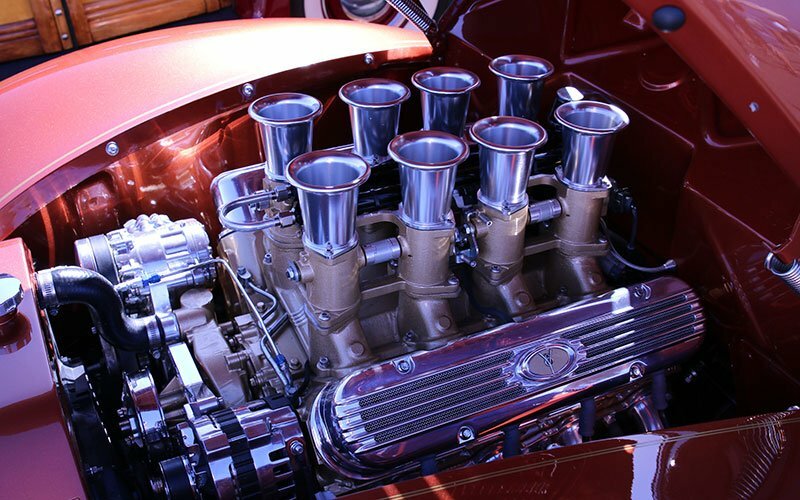 This story and photos are provided by Cars On Line.com, with coverage of all major car shows around the United States. 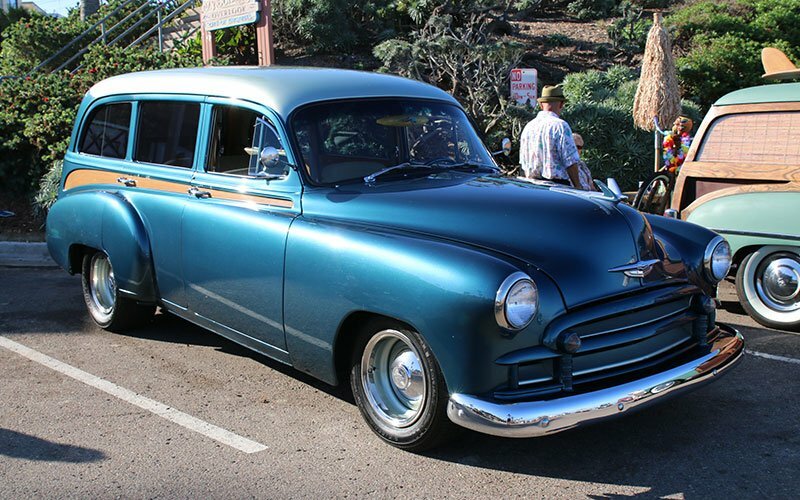 Click this link to our ClassiCar News.com page for more car show information. 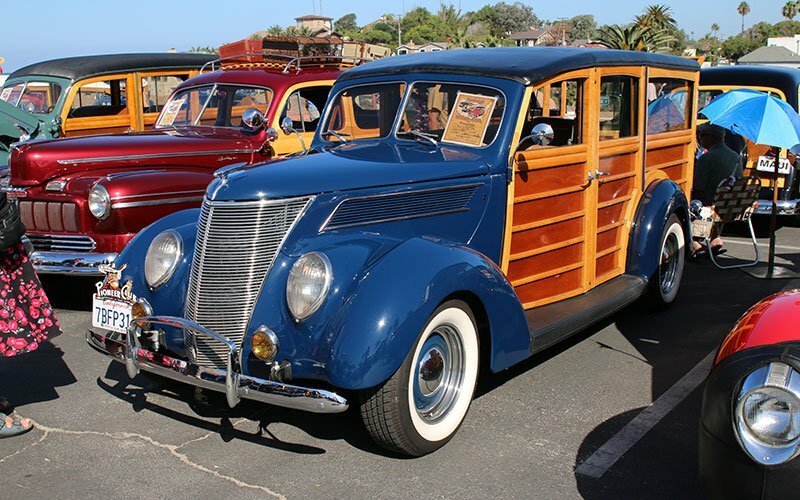 If you are looking for a Woodie Wagon to buy and take to shows, watch our ever changing inventory on the Cars On Line.com Station Wagon page. Looks like a lot of fun. Thank you for posting.